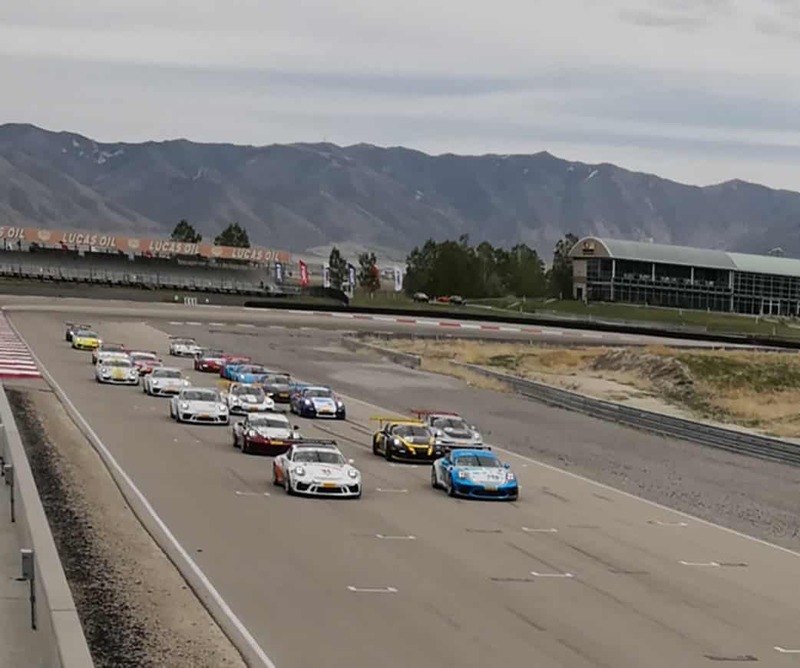 TOOELE, Utah – Kevin Woods and Steve Goldman each scored overall victories Saturday in Race 5 of the Pirelli Trophy West USA series on the 3.048-mile, 15-turn outer road course at Utah Motorsports Campus. 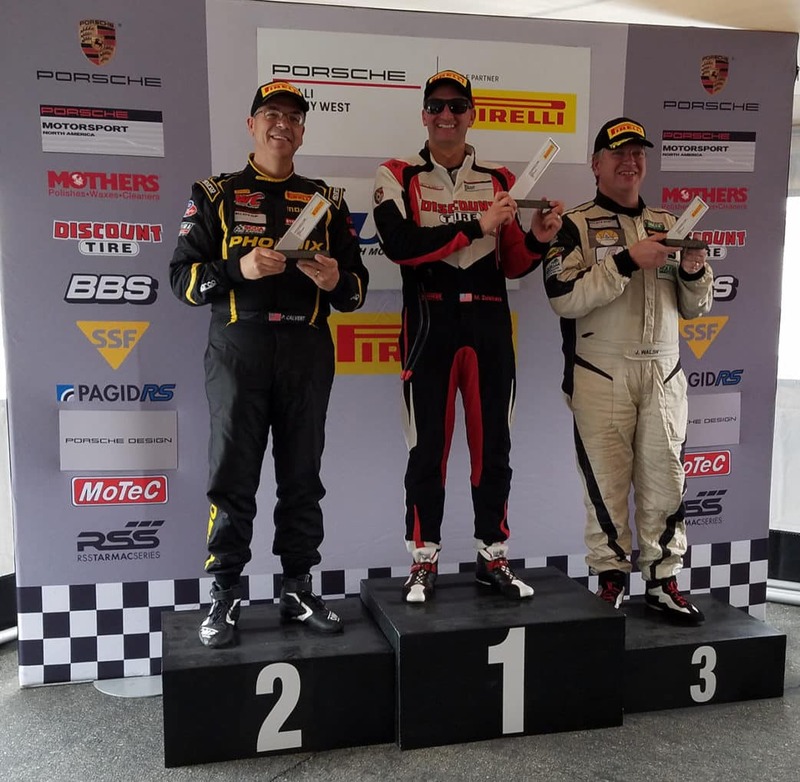 27 GT3 and GT4 Porsche machines in five different classes contested the pair of caution free, 40-minute flag-to-flag races: Diamond and Diamond Masters (2017-2018 991.2 GT3 Cup), Platinum (2015-16 991.1 GT3 Cup), Silver (Cayman Clubsport GT4 MR) and Bronze (2016 Cayman Clubsport GT4 Trophy) classes. The classes were split into two races, with Diamond, Diamond Masters and Platinum (Porsche GT3 Cup) in the first race and Silver and Bronze classes (GT4) in the second. 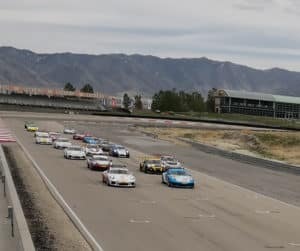 With warm and dry conditions at race time, managing the effects of the altitude (5,000 feet) as well as the competition were the key concentrations for the drivers. Woods started his No. 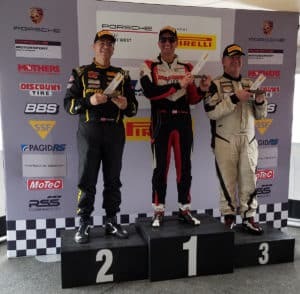 94 Mothers Polish/TruSpeed Autosport Porsche GT3 Cup Car in second position but made a move on pole sitter Loren Beggs (911 Design) under braking in Turn 1 and held on to take the lead. With Beggs right on his spoiler, Woods split his vision between his windshield and his mirrors for much of the 19-lap race, extending the gap in the late stages to take the checkered flag – and his third victory of the season – by nearly five seconds, with Pinnacle Motorsports’ David Donner in third. 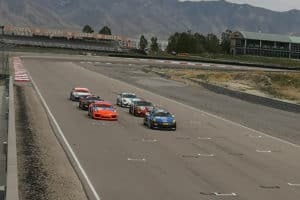 In the Diamond Masters class, Michael Zuieback battled with teammate Preston Calvert for much of the event, swapping the class lead several times. Zuieback fought to move his No. 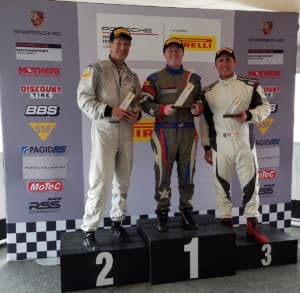 2 Discount Tire/Competition Motorsports entry into third overall and claim his fifth straight class victory, setting the quick time of the race on Lap 3 with a circuit of 1:54.836. It was a team sweep on the podium, as Calvert came home second ahead of fellow Competition Motorsports driver Jim Walsh. Sean McAlister also took his fifth straight class victory with a solid drive, keeping his No. 00 Competition Motorsports Platinum Class car in contention among the Diamond Class competitors and coming home ahead of Mark Davidian (Black Sheep Racing) and Tom Tait (Race Technik). 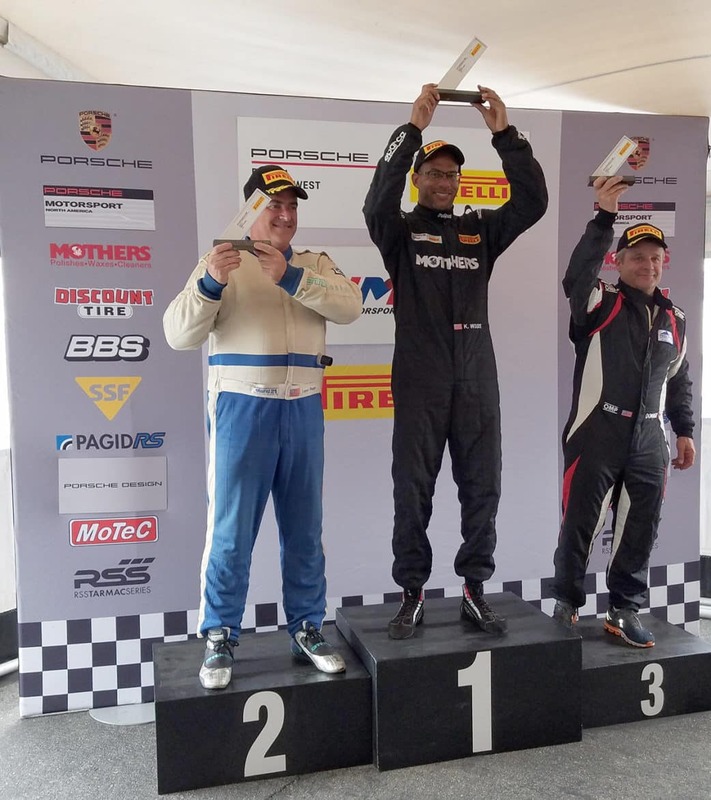 In the 17-lap GT4 race, Competition Motorsports’ Steve Goldman picked up right where he left off last season, as the 2017 Silver Masters champion shook the rust off in his first event of 2018 by taking a dominant overall and Bronze Class victory from pole position. 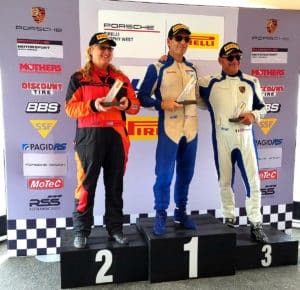 But behind Goldman, Chris Bellomo (The Racer’s Group), Alessandro Chiocchetti (911 Design) and Laura Ely (Black Sheep Racing) engaged in a spirited battle for second through fourth. Bellomo distanced himself from his competitors in the early going, leaving Ely to put the pressure on Chiocchetti, making the move on the front straight and winning the drag race going into Turn 1 at the start of Lap 12. 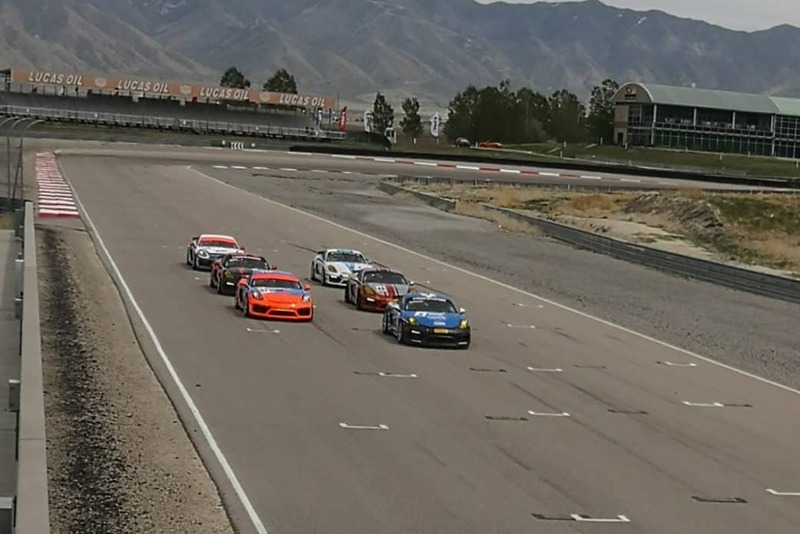 By Lap 16, Ely was right on Bellomo’s rear wing at the white flag and got to the inside in Turn 1 to take second position overall, and in the Bronze Class. Bellomo took the checkered in third overall, earning the Silver Class victory ahead of teammate Jim Rappaport.